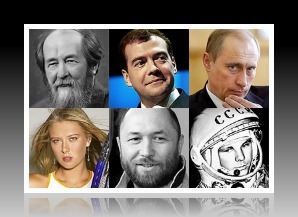 Test how well you know Russia by naming these famous people in sports, literature, music, art, business, politics, space and aviation, opera and ballet. 1. Let's start with an easy one! This person was the first human to fly into space and orbit the earth in a man-made spacecraft, leading the world into the era of the space exploration.